It's a new year and that means time for a new calendar. Free People is a longtime supporter of rescue organizations, especially PAWS a non-profit shelter based in Philadelphia that’s dedicated to saving Philadelphia’s homeless, abandoned and unwanted animals. 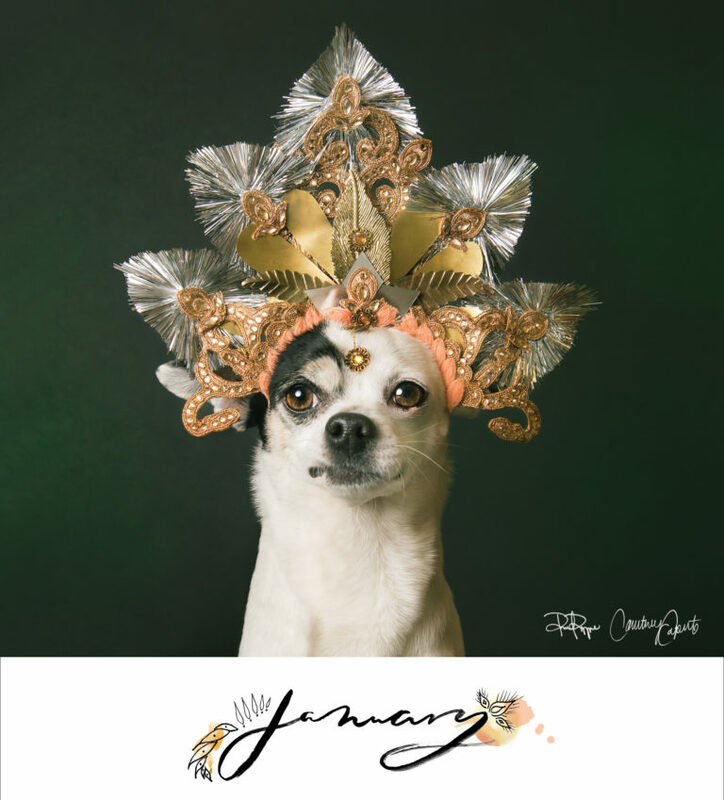 These beautiful, adoptable pups wearing one-of-a-kind head pieces designed by FP designers are featured in FPxPAWS limited edition 2017 calendars, which was created in partnership with award-winning photographer and animal advocate, Sophie Gamand, exclusively for FP. You may know her from her well-known series, Wet Dog, a collection of dog portraits captured at bath time. All proceeds from the sale of the calendars will benefit PAWS to help bring awareness to Philadelphia's homeless animals. Click here for a preview and to purchase a calendar.